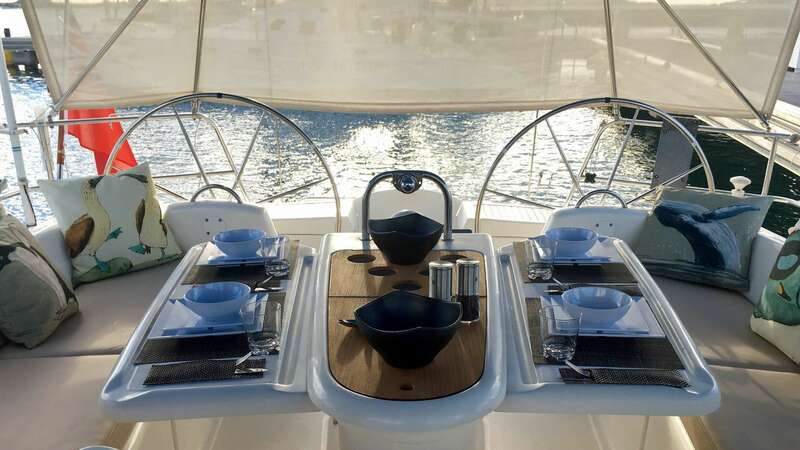 Nemo is a Dufour Gib’Sea 51, designed for cruising and to make sailing a pleasurable experience at all times. Award-winning J&J designers succeeded at the directive to create “the most spacious cruising yacht in her size”. 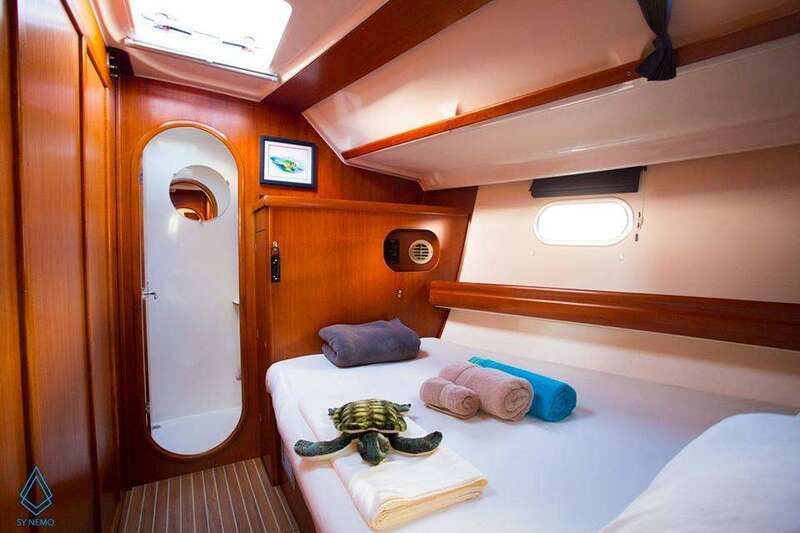 Aimed at the charter trade, NEMO combines the thrill of sailing performance with maximized accommodations. 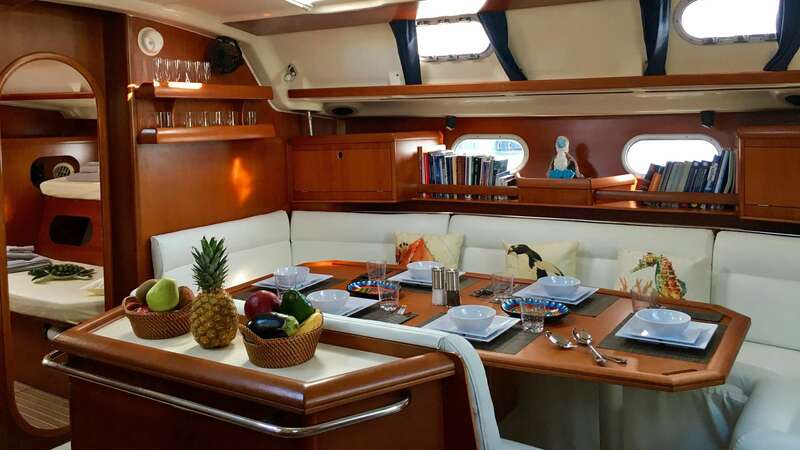 Below decks, the saloon is spacious, with convenient galley and elegant dinette seating for all guests. Classically crafted, rich wood interiors are flooded with light from numerous hatches and port lights. New, cream-colored upholstery adds to the light and airy feel. 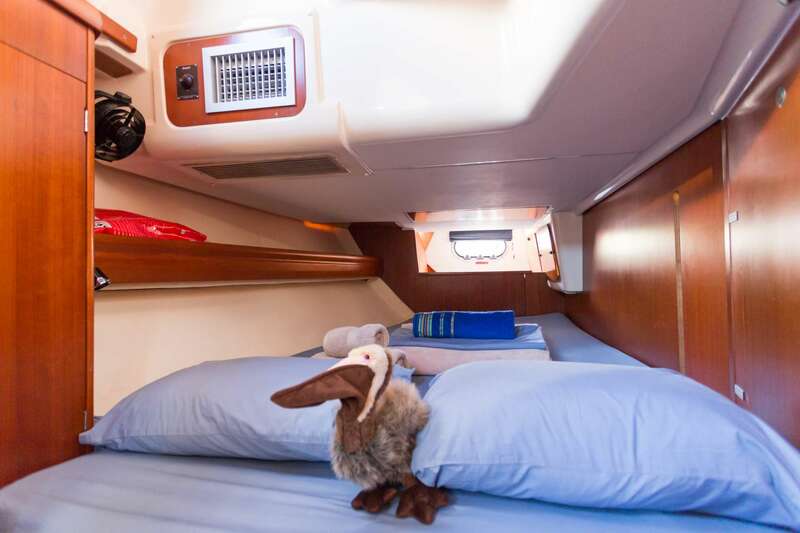 NEMO is designed with four, spacious queen berth cabins, two of which may be converted to twin berths. There is also a crew cabin positioned forward. NEMO is commercially licensed to carry a maximum of six guests. With four queen cabins available, NEMO is a great option for four friends traveling solo, as each can have their own queen cabin. And when converted to twins, on a family charter kids can each have their own bunks. All cabins are ensuite with plush bathroom towels and warm-water showers. 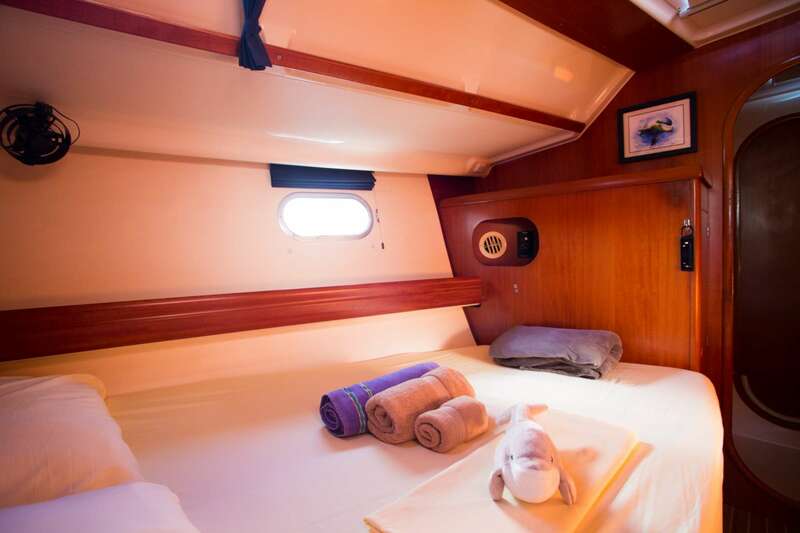 For charter friends and families with children, two cabins can be converted to twins, making NEMO exceptionally adaptable. Each cabin is decorated with art themes in support of wildlife ‘adopted’ annually by the crew through the WWF – Blue Footed Booby, Green Sea Turtle, Bottlenose Dolphin, Brown Pelican, Humpback Whale and Harbour Seal. The huge cockpit is one of Nemo’s best features. 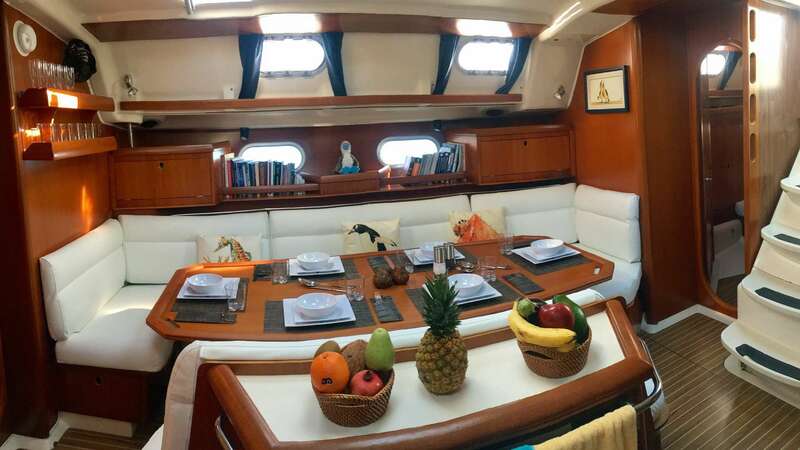 There is room enough for the entire charter party to comfortably enjoy the sail, canapés at cocktail hour, or dining al fresco. 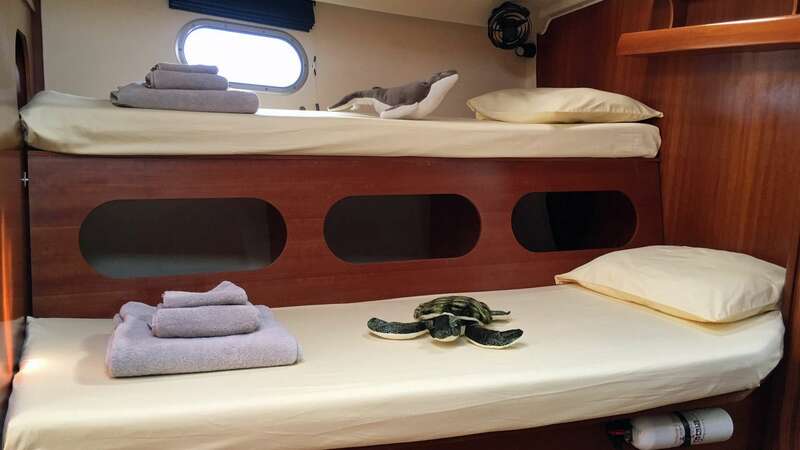 NEMO’s twin helm design and pass-through transom are especially appreciated when under sail, affording lots of space and an extremely comfortable area to relax in. The bimini and sun awning keep the party cool and protected from the sun. 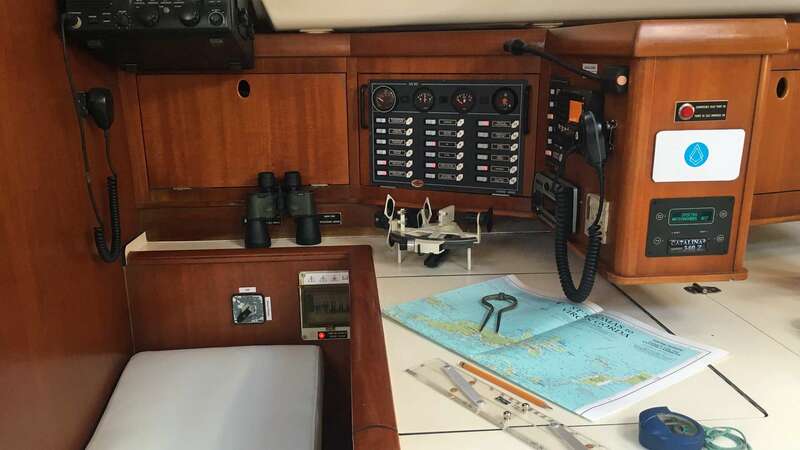 During 2016 S/Y Nemo and her trusty tender Dory, received a complete overhaul including a new engine, rigging, through-hulls, hatches and portholes, spray-hood windows and dinghy chaps. The refit also includes upgrades to the interior woodwork and upholstery. Experienced sailors are encouraged to try their hand at the helm, or Captain Neil will happily provide guests with instruction. At anchor, enjoy a swim and snorkel off the back of the boat, launch the paddleboard or two-person kayak, or simply enjoy the view. Nemo is the perfect charter yacht for a sailing vacation in the Caribbean.